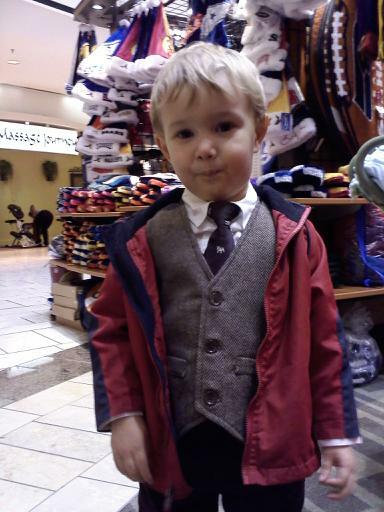 Tyler’s mom took him to see Santa a few days ago. The poor kid already went through it once with Christina and I two weeks ago. 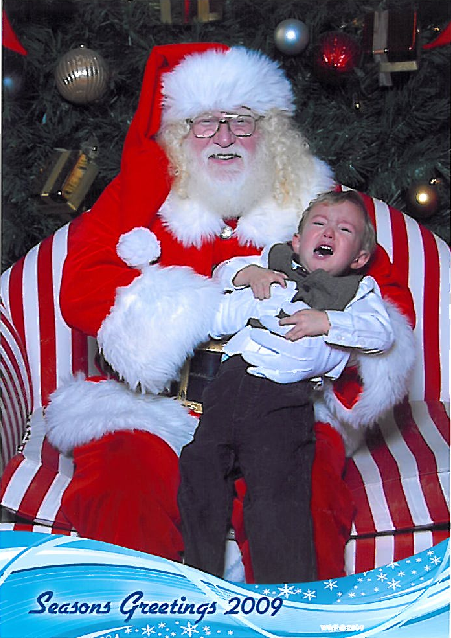 He is going to have Santa phobia until he is 18 you watch! Cute pictures…I just don’t think Santa’s get paid what they deserve. Can you imagine all of the crying kids kicking and screaming while sitting on your lap for 8 hours a day?